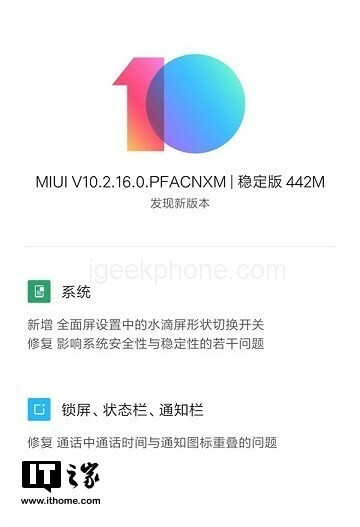 Xiaomi Mi9 recently pushed MIUI V10.2.16.0.PFACNXM stable version update, this update focuses on the optimization of the water drop screen. 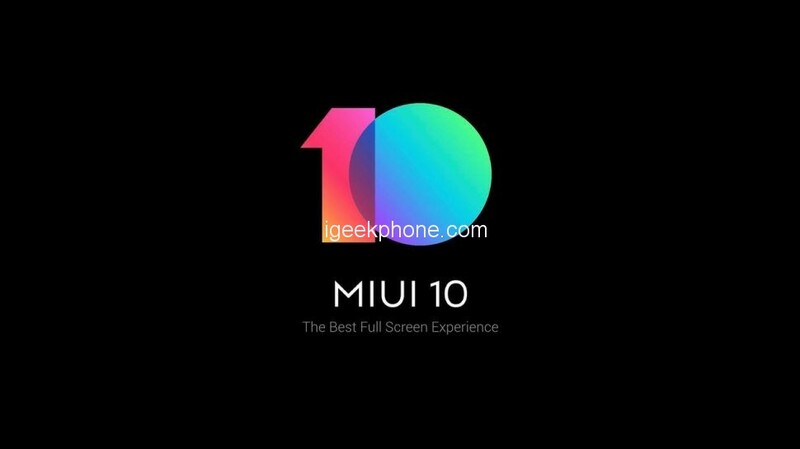 The update log shows that the new version of the Xiaomi Mi9 system has added a water drop screen shape switch to the full-screen settings. It also fixes several problems that affect the security and stability of the system. In addition, it also fixes the problem that the call time and the notification icon overlap during the call. It is also worth mentioning that the DC dimming of the previous day’s Xiaomi Mi9 mobile phone was officially tested, and the user using the development version system can be used after updating to the latest version; the dark mode online public beta system, after the qualified model is upgraded, This mode can be turned on (Settings -> Display -> Dark Mode).